Fantastic Townhome located in the tranquil Hayward Hills Fairview neighborhood. Set amongst the trees, this Corner End Unit offers more windows fill with lights while maintaining privacy. 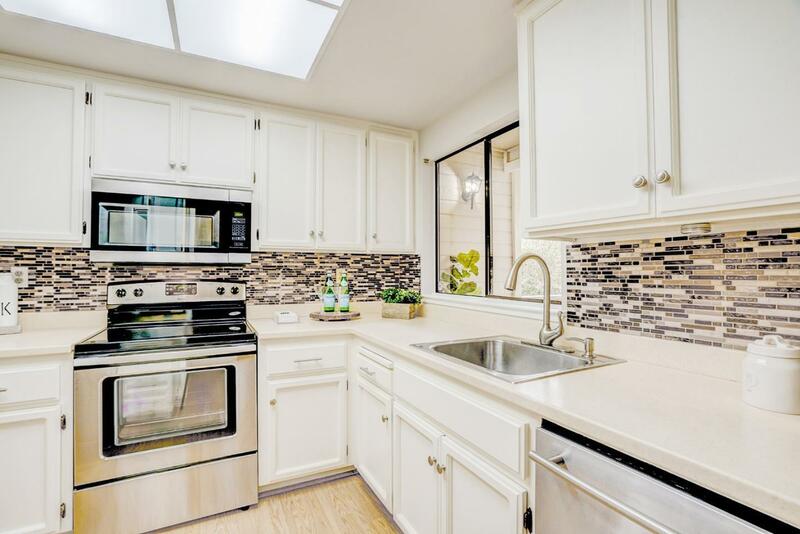 Updated kitchen and bath come with new upscale Stainless Steel appliances, refreshed cabinets, new lighting fixture, new backsplash, new faucets... Engineered wood floor and cozy carpet throughout, freshly painted inside out. Master suite, walk-in closet to die for, lots of storage space everywhere. This townhouse looks over the pool and tennis courts, has 2 car attached garage with brand new garage door and brand new water heater inside. Lots of amenities with one of the lowest HOAs in the area - pool, tennis, earthquake insurance included. Lots of privacy yet walkable to downtown, close to Cal State East Bay, Chabot College, public transit, must see!